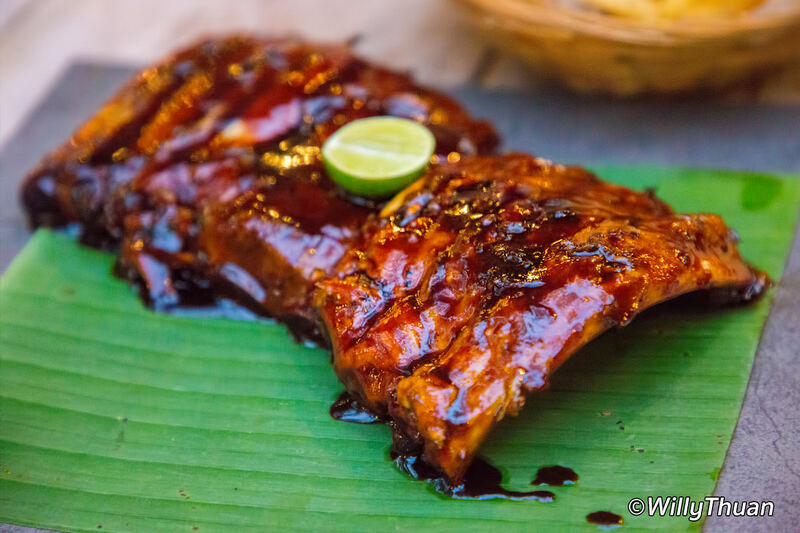 The Best Ribs in Phuket and Beyond! 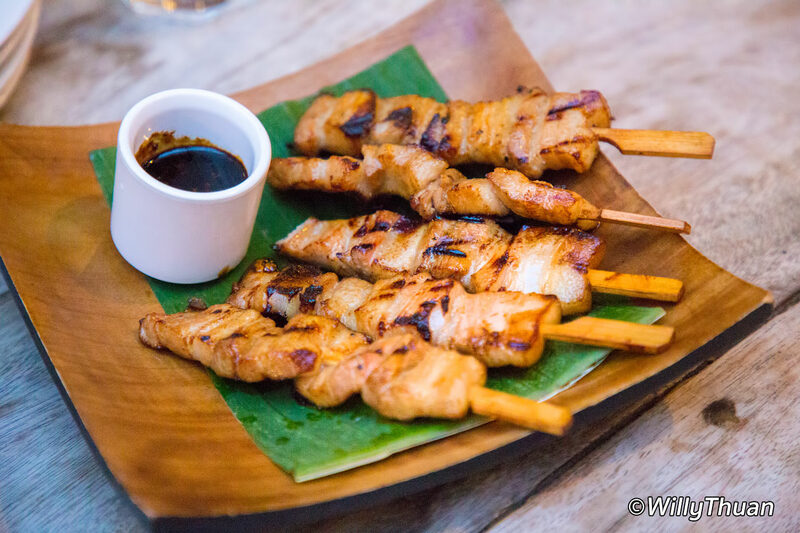 We went to Naughty Nuri’s Phuket Restaurant in Patong Beach the other day, and we had a great time. 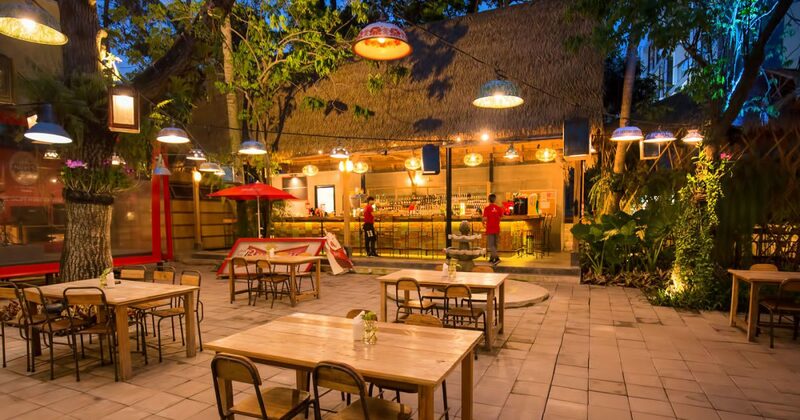 Naughty Nuri’s is famous for their Nuri’s signature ribs and piglet (Babi Guling a la Nuri’s). 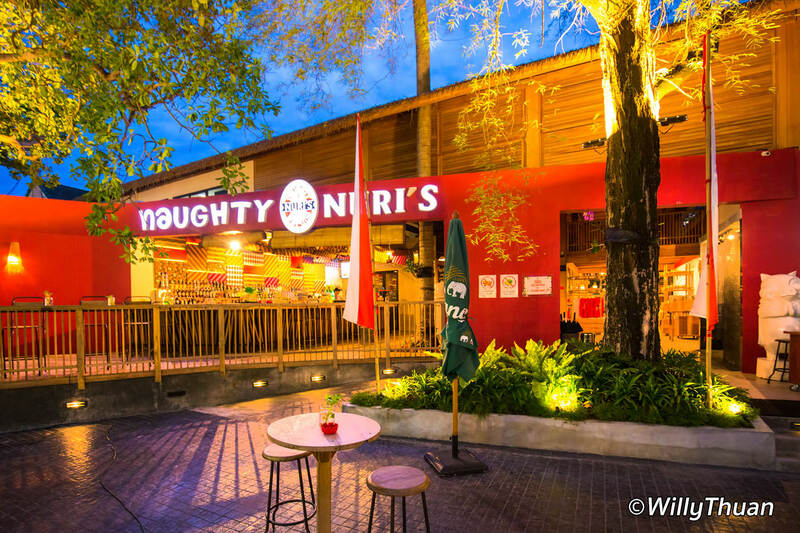 Officially it’s called ‘Naughty Nuri’s In The Forest’, which is strange since it’s right in Patong beach, but there is probably a good reason for that name. Judging by the number of visitors, Naughty Nuri’s is doing well. (We took our photos before everyone arrived to respect privacy). As usual, we came uninvited and didn’t get any special treatments, so here is how it went. 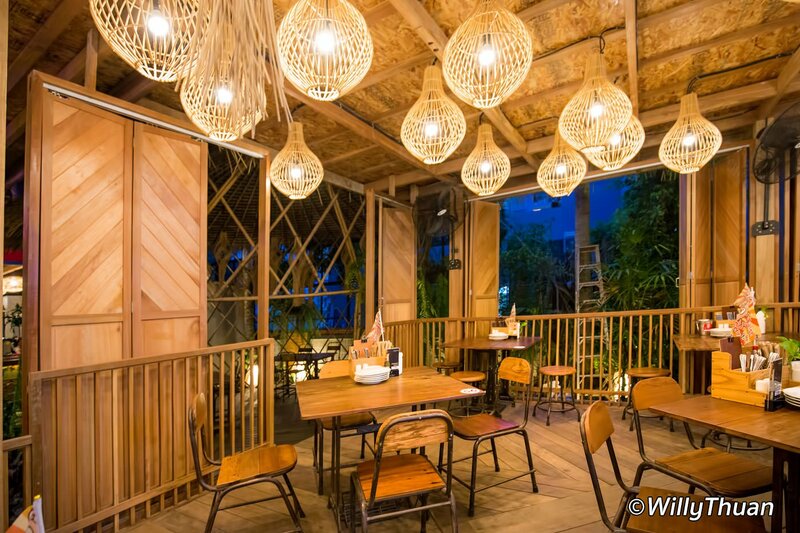 The restaurant is opposite of Novotel Phuket Vintage Park Resort, at the northern part of Rat-U-Thit road (the road where Jungceylon is). 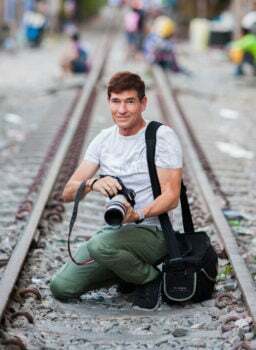 It’s about 1-kilometer walk from Bangla to there. In all honesty, we had no idea what the restaurant would look like, and we had a delicious surprise. The place is much bigger than expected and very well designed. There are several rooms plus a large open area with trees so that you can take a seat according to your mood (or to the weather naturally). We decided to sit in the central open-air area as it was so inviting. Staff is genuinely attentive and fast. We ordered a cocktail, and a mocktail and drinks arrived fast and were even better than expected, that’s a plus. We then had time enough to pay attention to the menu, even though we already knew we wanted to go for the famous Naughty Nuri’s ribs! The menu was quite extensive and very tempting, but we didn’t want to order more than we could chew, so we went for those Nuri’s signature ribs (450 baht) and some satay called Wah Tusuk Babi (180 baht). The piglet (Babi Guling a la Nuri’s – 1,600 baht for a half, 3,000 baht for the whole piglet) was very tempting, but it didn’t look reasonable to order too much. The table next to our ordered one and it comes with a little song and dance from the crew. Nice but a little too much attention :D. We probably will order one too next time, but without the singing, please. Overall, we had a great time, and the ribs were even better than expected, as well as the cocktails: Anchan Fizz cocktail without alcohol: 95 baht, Nuri’s Punch: 100 baht, draught beer: 120 baht. Our dessert was a little weak (Banana Oreo Banoffee, 130 baht), but it didn’t matter, we enjoyed our relaxing dinner, and we will go back to Naughty Nuri’s soon without a doubt.